Inaugural hand-wound timepieces from the legendary German camera manufacturer with exclusive, ground-up German movements. Few camera companies have the prestige and brand recognition of Leica, the legendary German manufacturer that invented discreet, mobile street photography with the 35mm Leica 1. Introduced in 1925 at the Leipzig Spring Fair in Germany, the Leica 1 brought the 35mm “movie” format to mainstream still photography with a small, reliable mechanical shooter and premium lenses. Following a large series of models with interchangeable screw-mount lenses, a new bayonet-mount M-series launched in 1954 with the Leica M3 became arguably the most revered 35mm camera ever produced for the masses. Built with a masterful level of mechanical precision, even the oldest of Leica cameras can reliably shoot photos today. Sound familiar? Timepieces from a century ago can still be reliable wrist companions with a comparable level of mechanical refinement. 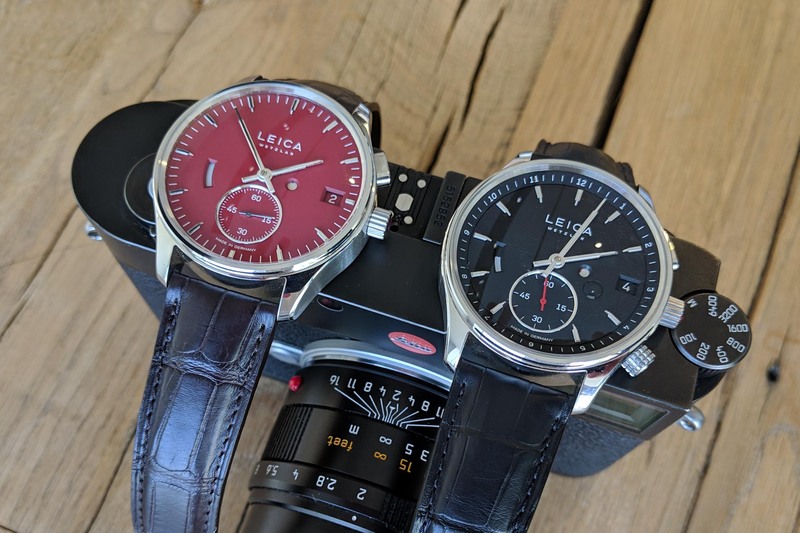 It only makes sense that Leica would eventually venture into the watch game and it has crafted two hand-wound timepieces (L1 and L2) that share DNA with their camera cousins. It isn’t the first time that Leica and watches have been associated together, with collaborations like the Valbray EL1 Chronograph LEICA Limited Edition that celebrated the company’s 100th anniversary. Leica’s new watches aren’t collaborative or commemorative; they are serious timepieces produced under the umbrella of the company itself. 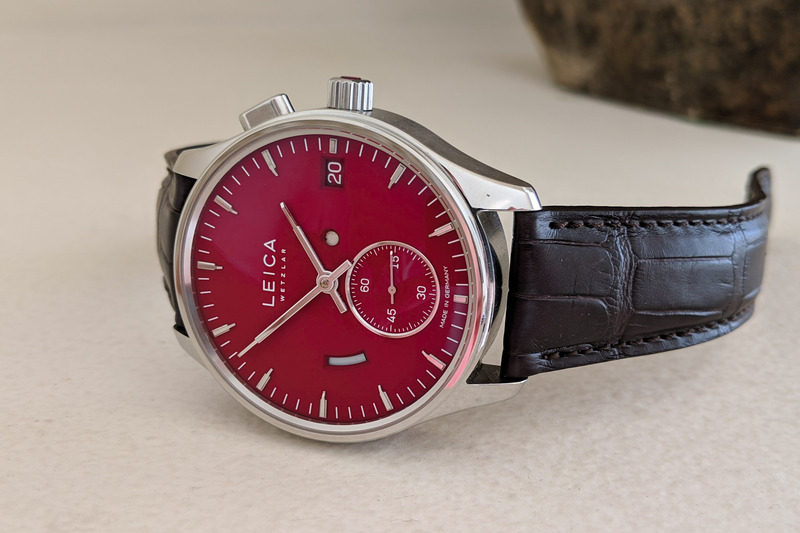 Designed in concert with Achim Heine, a distinguished German product designer who has worked with Leica in the past, the new timepieces are exciting additions to the company’s product portfolio. 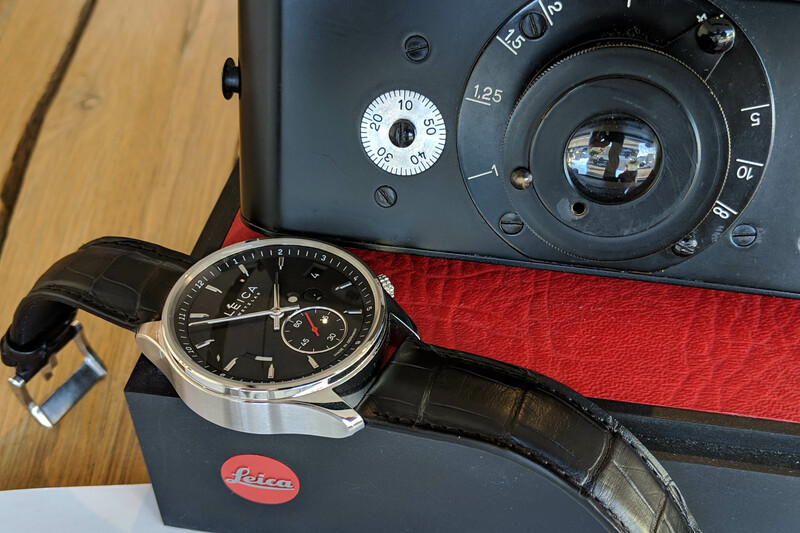 We had both L1 and L2 Leica models on-hand, so let’s take a closer look at this surprising pair of watches. When you think of renowned camera brands, Nikon, Hasselblad, Canon and Polaroid often come to mind. However, Leica may be at the top of the list since its film cameras are built to the strictest mechanical tolerances (with high price tags to match). Beloved by famous photographers such as Alfred Eisenstaedt, Ulrich Mack, Thomas Hoepker, and even Ansel Adams, Leica rangefinder cameras offer quick, reliable shooting in conditions ranging from a quiet street in Paris to expeditions in Antarctica to global war zones. Most of Leica cameras were independent of batteries and relied solely on mechanical engineering, and although modern Leica film cameras have (at least) electric light metres, mechanical-only shooters are still produced. Physical roll film has basically gone the way of the dodo bird as digital photography has supplanted the century-old tech, but Leica has never stopped manufacturing premium mechanical film cameras for enthusiasts and professionals who appreciate the medium’s unique characteristics. As a photography enthusiast myself, there’s nothing quite like shooting and then developing film by hand and watching photographs appear in a darkroom as developer washes over exposed paper. And shooting with a buttery smooth, almost silent mechanical Leica is about as rewarding as it gets. Leica Camera AG was founded by Ernst Leitz in 1914 in Wetzlar, Germany. The company name was formed by combining the first three letters of his last name (Lei) with the first two letters of camera (ca) – Leica. 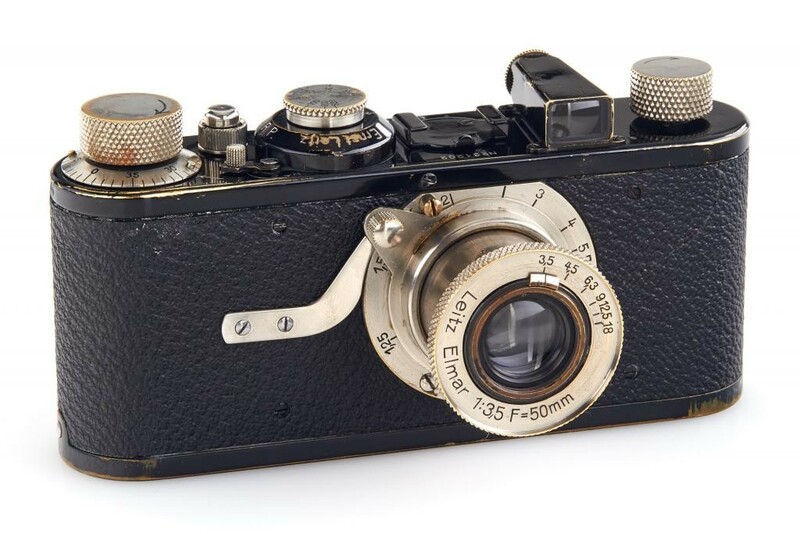 It was Oskar Barnack, however, a German photographer and engineer at Ernst Leitz Optische Werke in Wetzlar, who developed the original 35mm compact Leica prototypes and ultimately the Leica 1 in 1925. The lightweight, hand-friendly Leica 1 had a lens permanently fixed to the body, but subsequent models had interchangeable lenses and Leica’s vast portfolio of optics has always been among the best in the world. The cameras were rugged mechanical marvels of metal, glass and vulcanite, and I could write a 1,000-page book detailing the company and its historic camera collection, which probably still wouldn’t be an exhaustive overview. As this is intended to be a watch review, I’ll show restraint and limit what could easily be a lengthy background of the company. 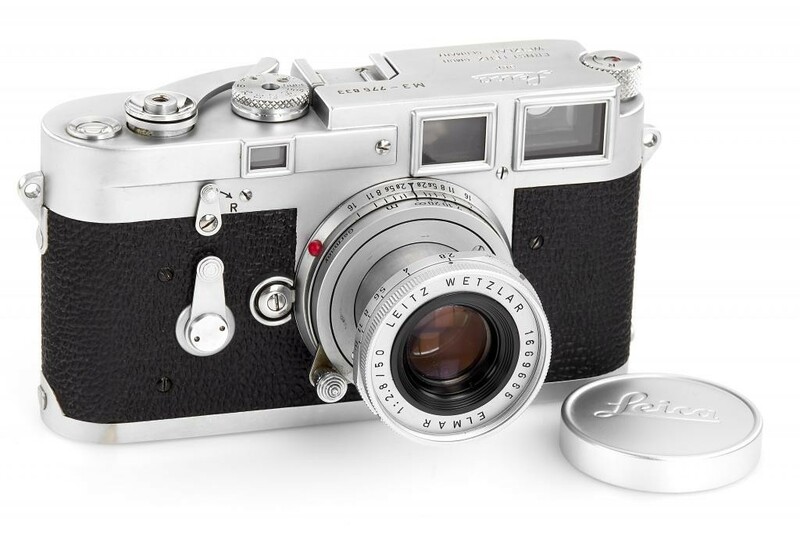 But here are a few relevant marks in Leica’s history… In 1954, the Leica M3 launched at the German Photokina Exhibition and is the blueprint for virtually all M-series Leica cameras, including currently produced models. The all-mechanical model M-A, launched in 2014 and still manufactured today, is almost identical to the original M3 from 60 years earlier. The Leica M8 launched in 2006 and although not its first digital camera, it was the first M-series camera that combined the style and feel of the mechanical film cameras with modern digital technology. The Leica M Monochrom (there’s no “e” in the name) launched in 2012 and is a dedicated monochrome digital camera, meaning it shoots solely in black and white. This type of niche product kind of defines Leica as a company in the 21st century. Although it was forced to adapt to a digital age, Leica continues producing expensive mechanical film cameras for a relatively small pool of dedicated customers. 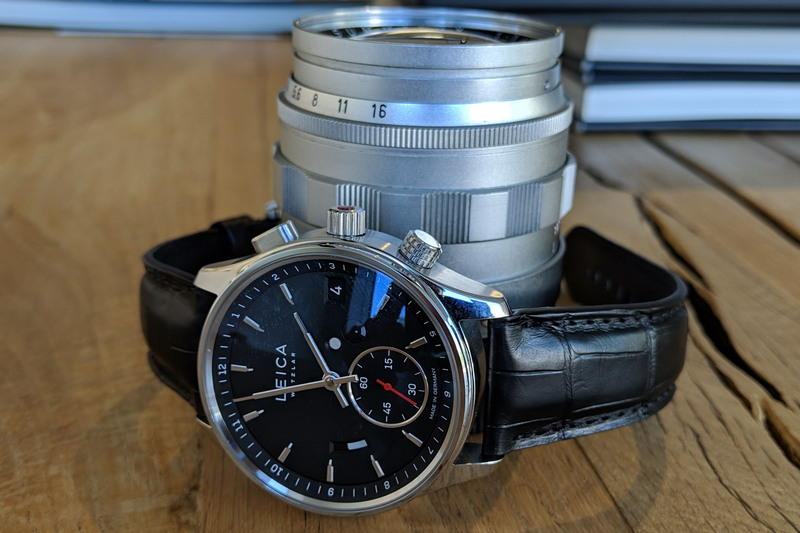 In a world where most people now shoot photos on their iPhones, it’s impressive that Leica weathered the digital age in a way that mirrors high-end watch brands weathering the quartz crisis of the 1980s. 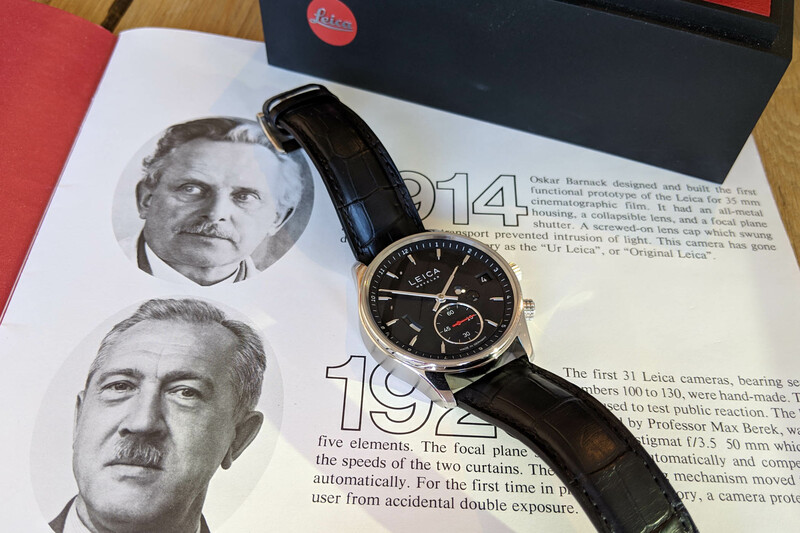 Let’s take a closer look at how Leica has applied almost 100 years of design and mechanical expertise to the new Leica L1 and L2 timepieces. 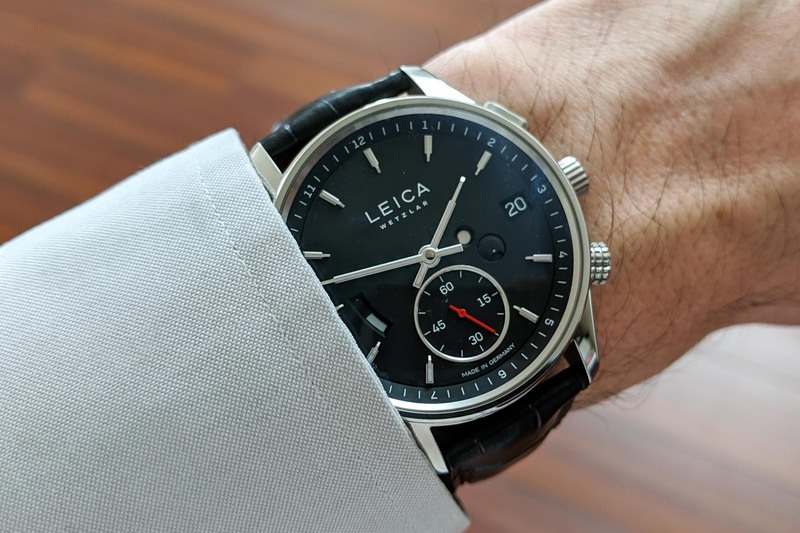 At first glance, the new watches don’t immediately remind me of a Leica camera (other than LEICA printed on the dial), but it doesn’t take long to find nods and hidden gems. For example, the sapphire crystal (with multiple anti-reflective coatings) has a cambered shape that’s reminiscent of the outer surface of a lens. 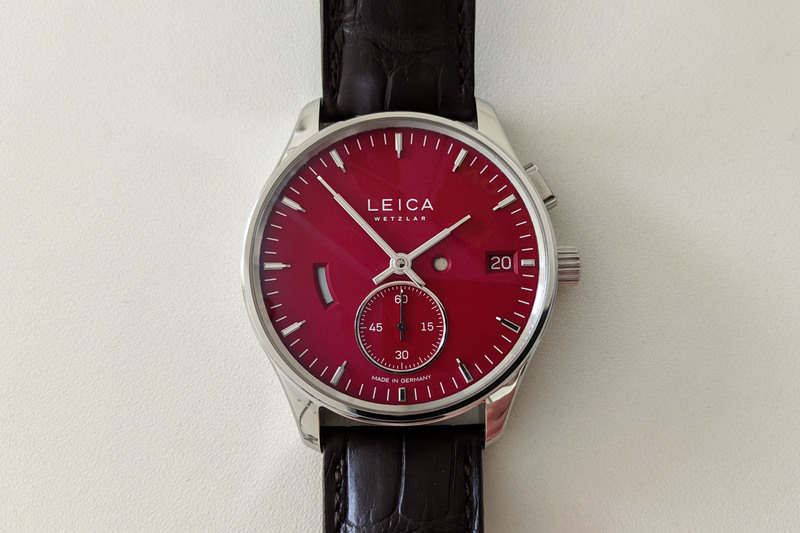 The 316L stainless steel case for both models is 41mm in diameter and 14mm in height, and while not exactly discreet, it’s not overbearing on the wrist. There’s a substantial vibe that’s also seen in the M-series cameras, which are both solid metal and a bit weighty. The bezel and both the top and bottom of the lugs are polished, while the sides are brushed. And although not a chronograph, a push-button sits at two o’clock, just above the traditionally placed crown at 3 o’clock. Both of those pieces play a unique role in the operation of the watches (more on that later). The L2 adds a second crown at 4 o’clock for a simple GMT function. A common feature on newer Leica cameras is the circular red dot logo on the front. There are two nods to this, starting with a red ruby placed in the tip of the crown. Many relatively newer M-series cameras also have a red dot in the centre of the lens release button (along with a red dot on the lens itself for alignment), which reminds me of the crown’s ruby as well. The back of the case features a sapphire exhibition window that displays a unique German-made, hand-wound movement. The crown doesn’t screw down and the case is water-resistant to 50 metres – the watches aren’t meant for aquatic adventures but are safe from splashes and rain. I personally wouldn’t swim with such a nice (and somewhat pricey) piece. 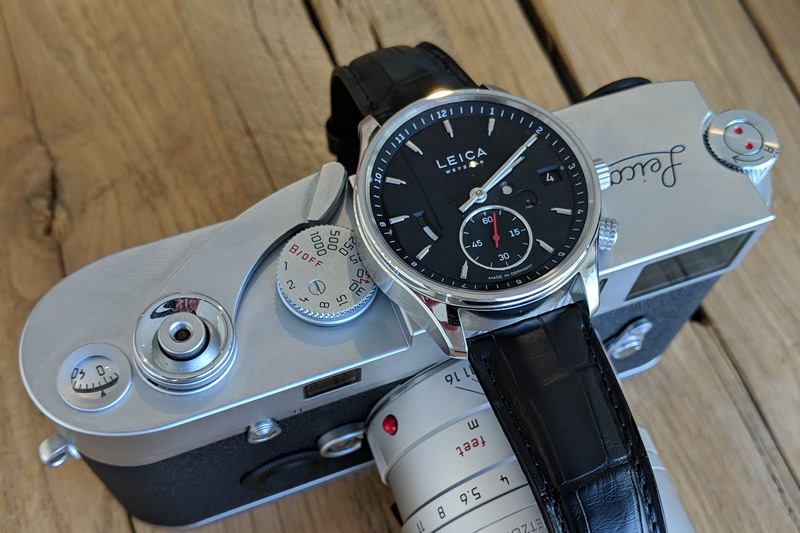 When I first saw images of the Leica L1 and L2 back in June 2018, they featured a black dial that matched the classic silver and black aesthetic of many of Leica’s rangefinder cameras. 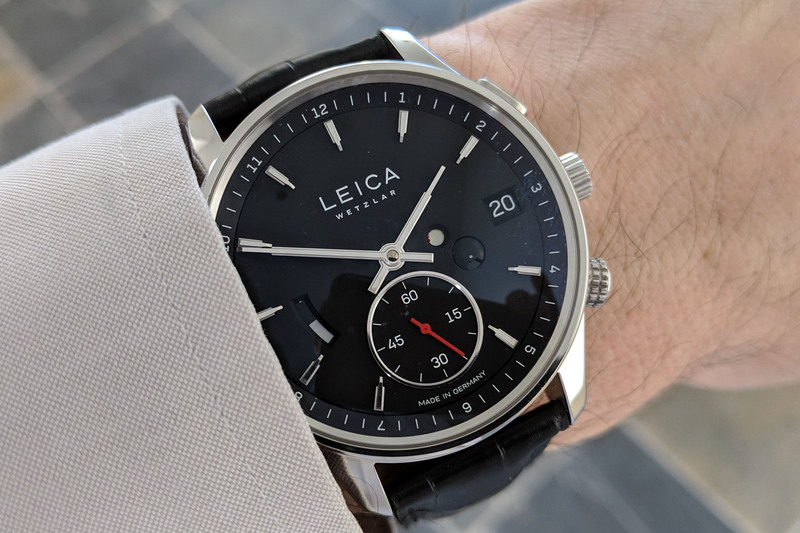 The L1 reviewed here has a red dial and while not quite as “Leica” as the black dial on the L2, it’s both classy and understated. It also seems to pay homage to the red dot logo. Both watches display the time in a straightforward way with central hour and minute hands, and a seconds sub-dial at 6 o’clock. A date complication is in a bevelled window at 3 o’clock and matches the dial’s colour. Simple enough, right? Well, there’s also a curious circular window between the central hands and date, which has a white background when the watch is running. Here’s where things get interesting. Unlike most mechanical watches where a crown is pulled to set the date and time, you push the Leica’s crown like a retractable ballpoint pen. Three things happen when pushed – the seconds reset to 12 o’clock, the circular window changes from white to red (the second nod to the red dot logo) and the crown is positioned to set the time. When you push the crown again, the circular window returns to white, indicating that the movement is running and can be wound. The patented push-button action is linked to a column wheel, identical to the column wheel found in chronograph movements. Notice how I didn’t mention how to set the date? The pusher at 2 o’clock handles that one, advancing it one number per push. These controls make the watches deceptively complex and I’m a big fan of unconventional design. But wait, there’s more. On the left side between 8 and 9 o’clock, there’s a curved, elongated window that serves as a power reserve indicator, modelled after one of Leica’s early light metres for the M3 camera (displaying gradually closing blades to boot). 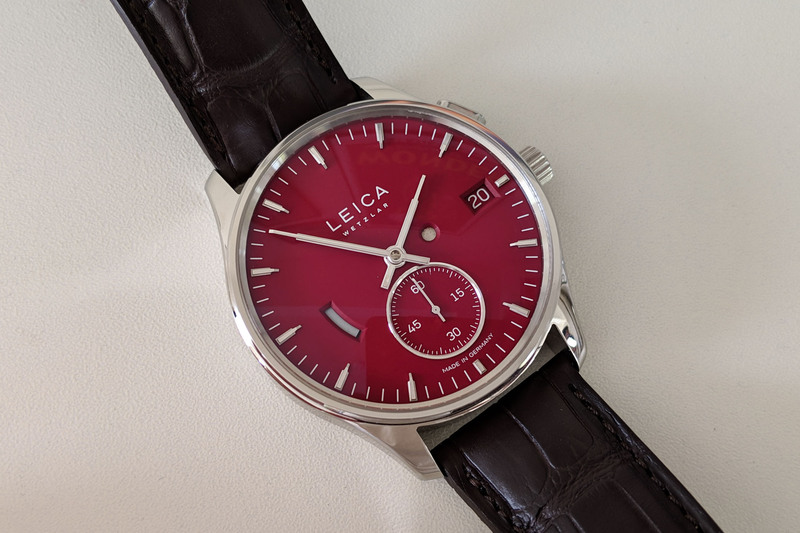 The movements in the L1 and L2 models are newly developed and exclusive to Leica, designed in collaboration with Lehmann Präzision GmbH in Germany’s Black Forest region (they also have their own watch brand – Lehmann Schramberg). Finishing and final assembly of the movements are done at Ernst Leitz Werkstätten in Wetzlar, Germany (next to Leica’s camera factory). 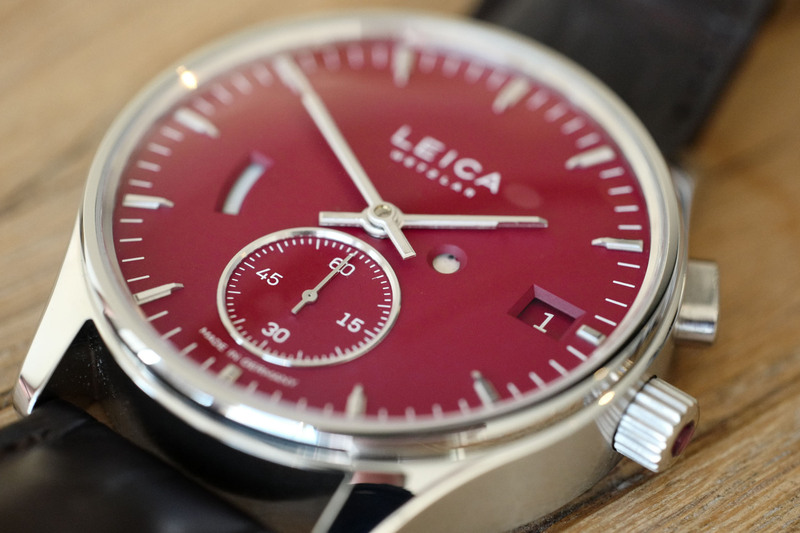 Leica doesn’t have short-term plans for in-house movements and will continue using Lehmann for the foreseeable future. 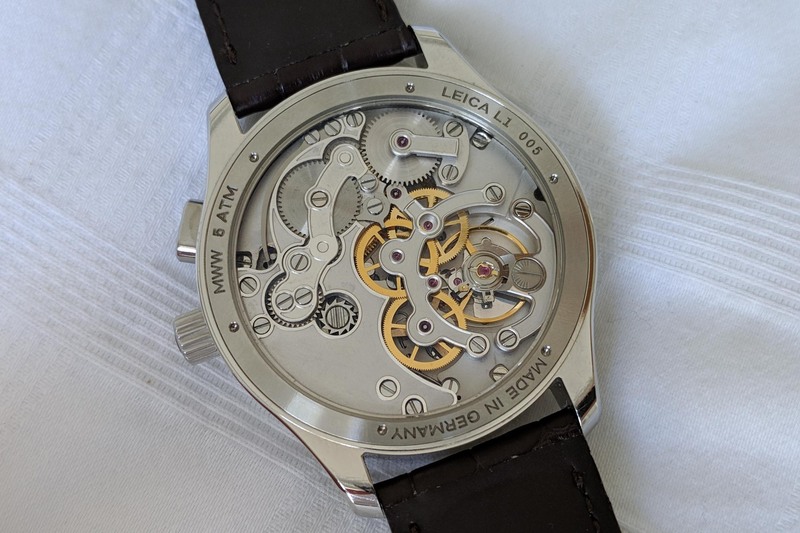 Seen from the exhibition caseback, the movement isn’t embellished with Geneva stripes or perlage, but is well finished and keeps the industrial aesthetic of Leica’s rangefinders. The L1 has the base movement with the L2 adding a couple of features. 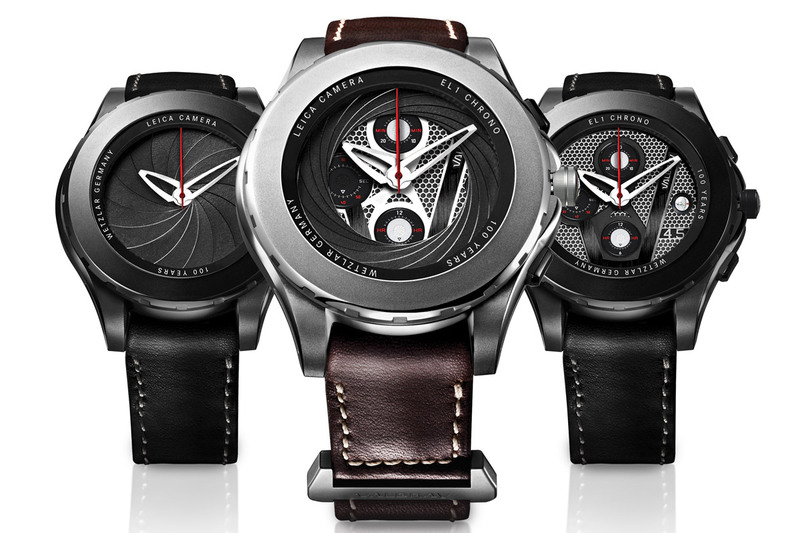 The hand-wound calibres (simply L1 and L2) have 25 jewels, beat at 28,800vph (4Hz) with a 60-hour power reserve. Functions for the L1 include hours, minutes, sub-dial seconds, date, power reserve and a crown-setting indicator. The L2 adds a day/night indicator and GMT function operated with a second crown at 4 o’clock. 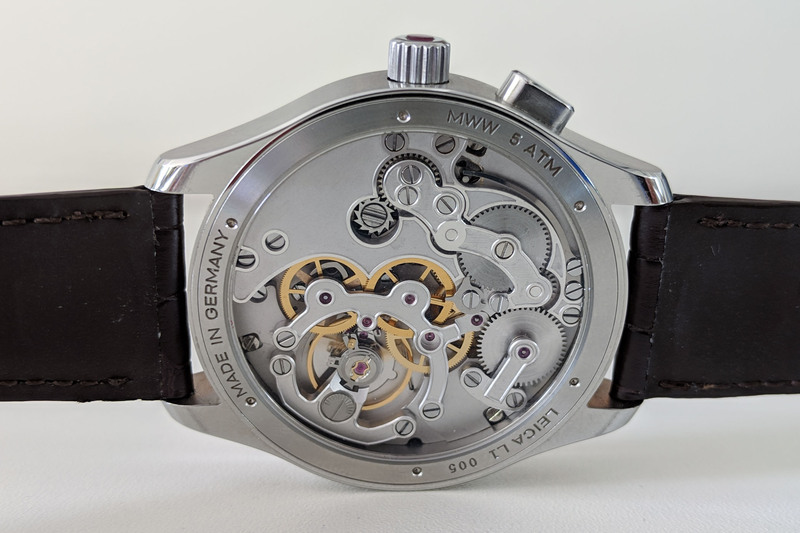 The matte finish on the movements’ bridges and plates is reminiscent of the finish on Leica’s silver rangefinder cameras, and the exposed polished gears contrast well. In my opinion, a more decorated finish would look out of place and I applaud Leica for a restrained yet sophisticated design. 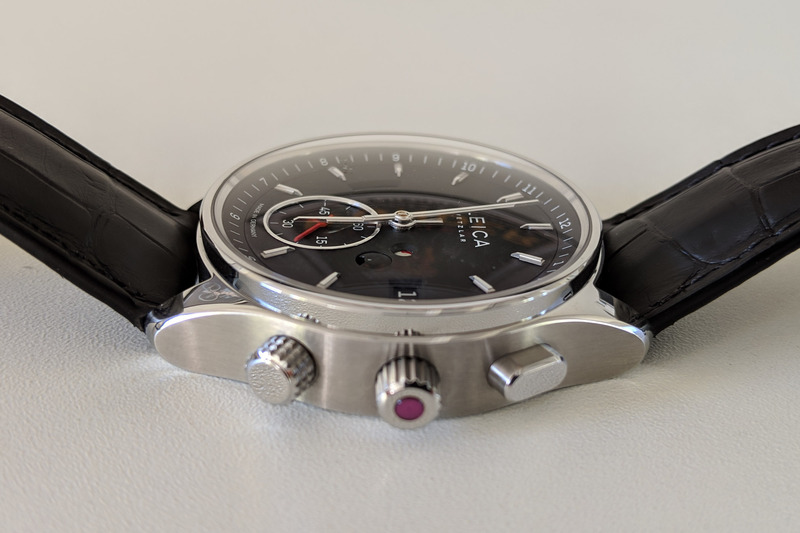 Leica is also seeking chronometer status for both movements, via either Swiss or German regulations (a final decision is pending). 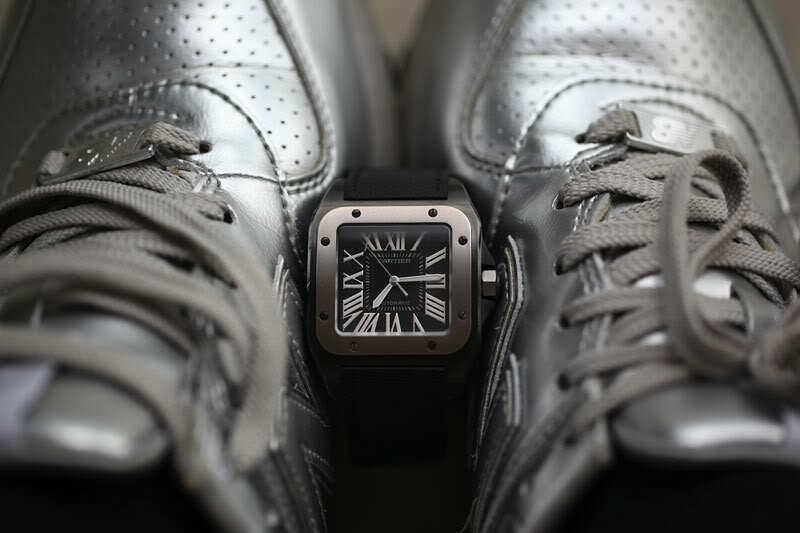 Both watches are fitted with a black, diamond-embossed calf leather strap with a stainless steel buckle. They are classy and understated (as with many elements on the watches). The straps are handmade in Paris with matching black stitching. My only complaint is they’re designed for (very) large wrists and hopefully a smaller set will be offered. I’ve also seen pictures of Leica straps with a tighter pattern, similar to that on the vulcanite wrapped around their rangefinder cameras. This could be a future option as well. The Leica L1 and L2 remind me a bit of Research in Motion’s (former producer of BlackBerry smartphones) attempt to take on the iPhone back in 2008. Just hear me out for second… Apple took the industry by surprise with a unique product and most major manufacturers scrambled to keep up and produce the next “iPhone killer.” As the handset champion at the time, Research in Motion (RIM) seemed well positioned to attempt its first all-touchscreen smartphone, but it was an undercooked, glitchy disappointment and market failure. It was unable to successfully shift from its core products. 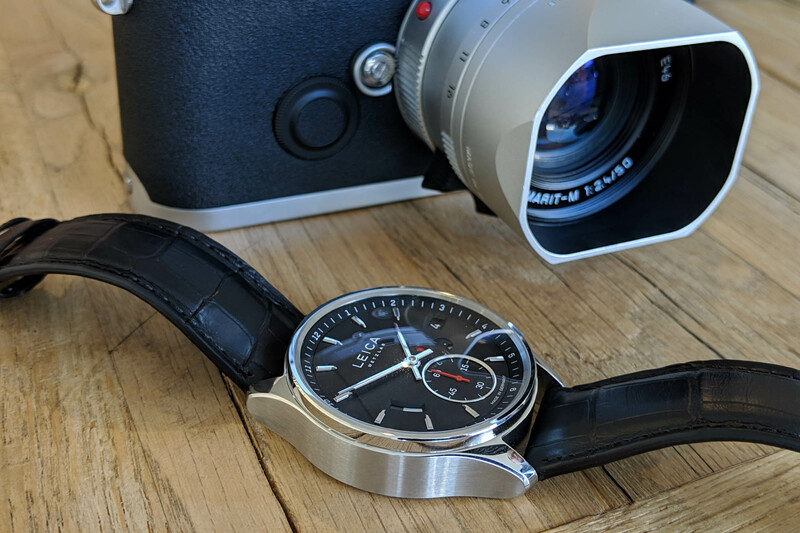 Now we have Leica, a champion of mechanical cameras which is attempting to produce timepieces that compete with established, high-end players – a big shift from its core products. But in this case, they don’t disappoint. These are well designed, well-considered luxury watches that strike a solid balance between simplicity and sophistication. Spend a little time with one and the Leica DNA shines through. 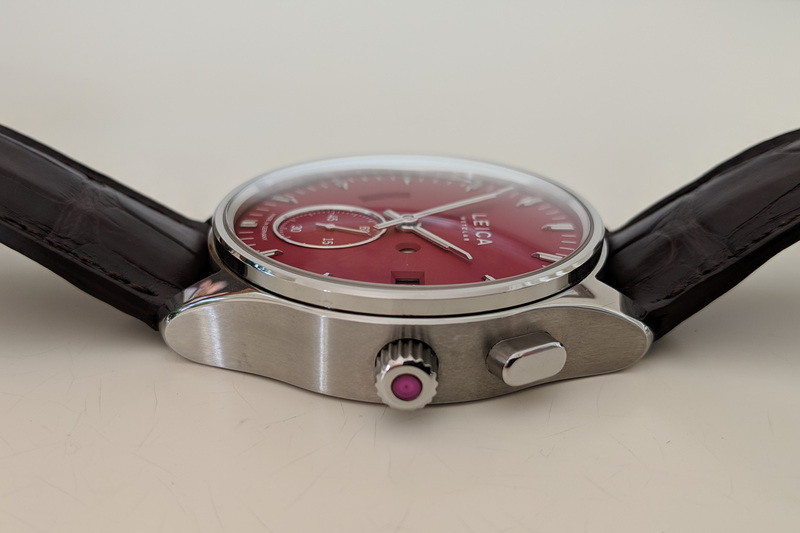 The crown’s red ruby, design of the power reserve indicator, shape of the crystal and ground-up German movements show an attention to detail that Leica is famous for. The unique crown action and pusher at 2 o’clock add a uniqueness that makes them horologically intriguing as well. With the Leica L1 and L2, the company has proven that it can branch out and successfully apply its design prowess and mechanical expertise to more than just cameras. Timepieces are a perfect fit for the brand. The Leica L1 retails for USD 10,900 or EUR 9,900 and only a few hundred pieces will be produced in the first year. The L2 retails for USD 16,500 or EUR 14,900 and will be similarly limited, although neither are considered limited productions by the company. There will also be an 18k gold L2 model for USD 32,900 or EUR 29,900. Leica plans to increase production in the future and additional models are also in the works. 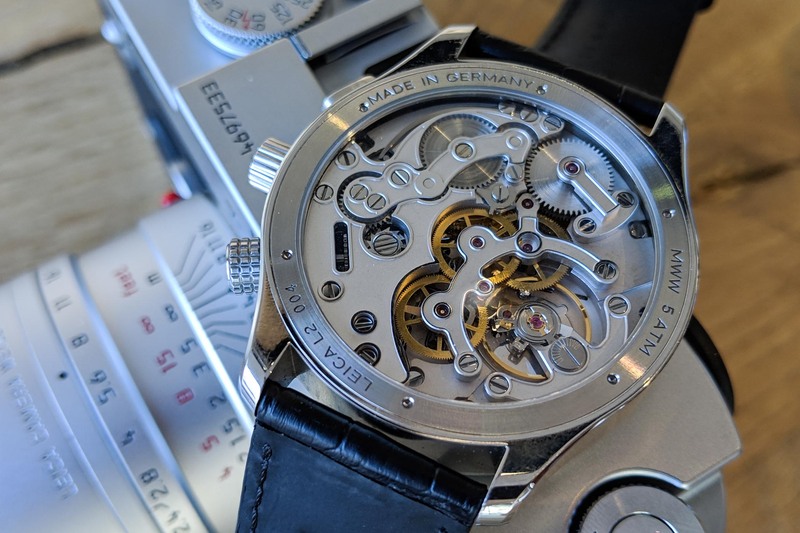 These prices are certainly not cheap, but when you consider the complex, newly designed movements and overall attention to detail, they’re far from outrageous. 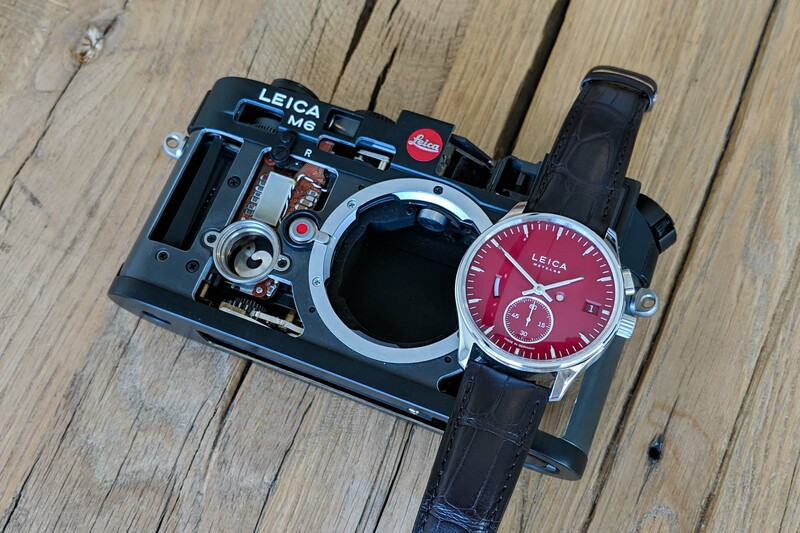 However, considering Leica’s lack of fame in the world of watches, this could be problematic for the brand, competing here with some of the most established Swiss brands… The Leica L1 and L2 could definitely remain niche products. 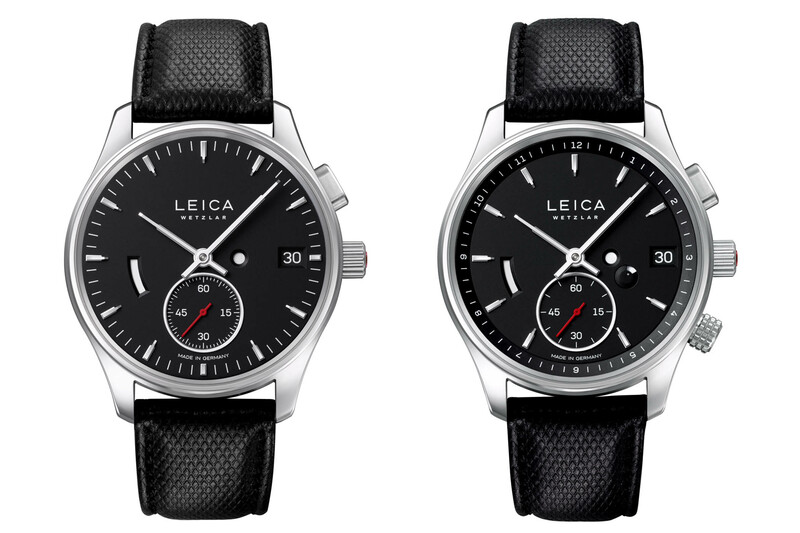 You can purchase both watches at select Leica boutiques worldwide – Leica Store Los Angeles will be the exclusive retailer in the United States, with stores in London, Frankfurt, Wetzlar, Vienna, Dubai, Singapore, Shanghai, Tokyo, Melbourne and Paris. They’ll be available in late winter/early spring. More information can be found at Leica’s Ernst Leitz Werkstätten page. I also want to give a quick shout-out to Leica Store Los Angeles for their time and assistance during this review. Absolutest right. You can get yourselve a Nomos Zürich, a nice Leica Rangefindercamera and some nice M Lenses insted. I strongly suspect these watches are superbly made and well worth the money. Everything Leica makes is eye-wateringly expensive for a reason. 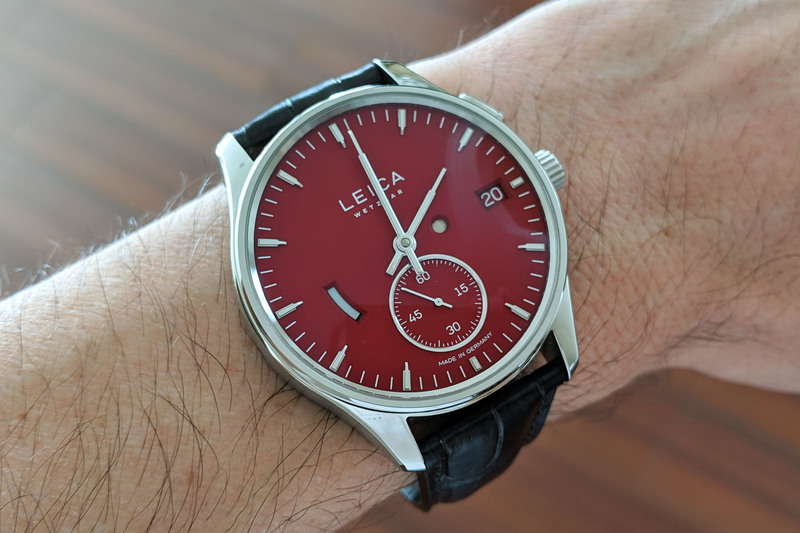 The watches and their movements are superb, as one would expect from Leica. The only regret I have is the absence of lume, which doesn’t quite live up to the über functional values of the brand. 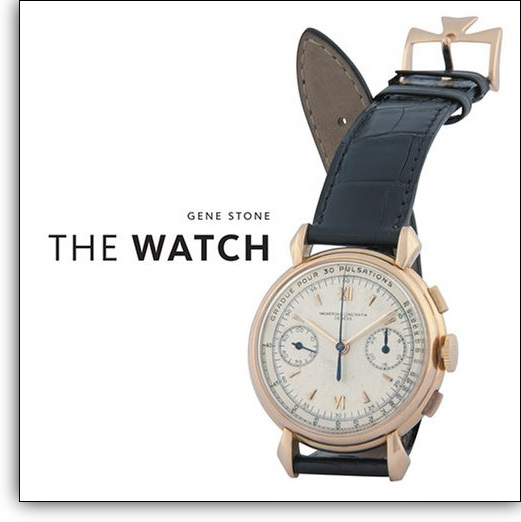 Price is steep (for me) but I bet this watch will find its market, eventually. Just needs a Stainless steel strap. Film has not gone the way of the Dodo and if it had Leica would not still be producing film cameras. I’m using film, so are a lot of others I know. I suppose you think mechanical watches went with the same Dodo? or you just thought the sentence sounded cool? Finally, a watch for dentists.